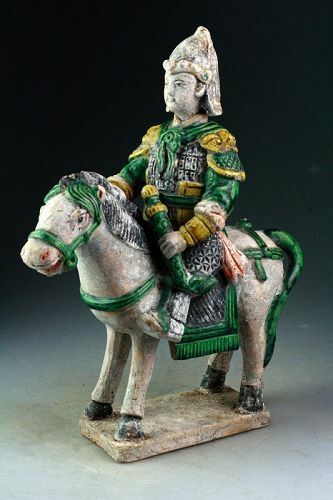 Fine Chinese Ming Tomb pottery figure of horseman w large mace! Superb Chinese Ming Tomb pottery figure of horseman w Bow! Scarce Chinese Ming Tomb pottery figure of horseman w Helbard!